"VIDEO: TREMENDA REGAÑIZA A SU ESPOSO POR DORMIRSE EN EL CINE". LAGRIMITA Y COSTEL FESTEJARAN EL DIA DEL NIÑO Y DE LAS MADRES EN TEXCALTITLAN!!! EDOMEX SUR: FESTEJAN A LOS NIÑOS EN TEXCALTITLAN EN EL MES DEL NIÑO!!! EDOMEX SUR: TEXCALTITLAN BECARA A JOVENES PARA VIAJAR A CANADA!!! MUNICIPIO DE TOLUCA VACUNA Y ESTERILIZA A PERROS CALLEJEROS!!! MILES DISFRUTARON “QUEMA DE LOS JUDAS” EN TOLUCA!!! CONTROLAN BOMBEROS FUERTE INCENDIO EN TOLUCA!!! A PARTIR DEL LUNES CAMIONES TENDRAN CARRIL EXCLUSIVO EN MORELOS Y JUAREZ!!! AYUNTAMIENTO DE TOLUCA ASESORA A EMPRENDEDORES Y PEQUEÑOS EMPRESARIOS!!! TOLUCA BUSCA JUGADORES DE FUTBOL PARA SU SELECCION!!! MULTAS Y CORRALON A MOTOS MAL ESTACIONADAS O SIN PLACAS!!! JUAN RODOLFO TOMA PROTESTA A COPACIS Y AUTORIDADES AUXILIARES. APRUEBA TOLUCA INVERTIR MAS DE 260 MILLONES EN OBRAS!!! PRESENTAN RECORRIDOS “NOCHES DE LOS JUDAS” EN TOLUCA!!! 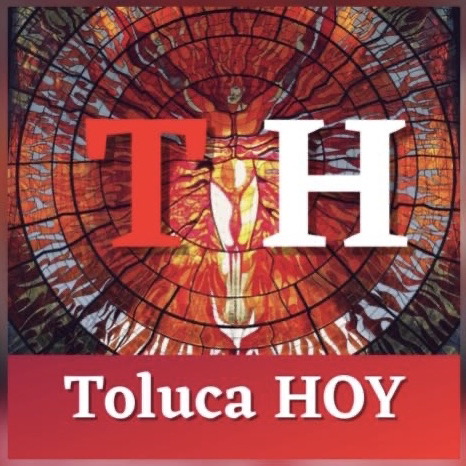 ALCALDE DE TOLUCA INICIA COLECTA NACIONAL DE LA CRUZ ROJA 2019. FESTIVA CUMPLE TODAS LAS EXPECTATIVAS!!! OPERATIVO “SIN ALCOHOL SE CONDUCE MEJOR” 19 PERSONAS AL DIABLITO. CONTINUA LIMPIEZA Y MEJORA DE CALLES EN TOLUCA. DIEZ DETENIDOS EN OPERATIVOS DE SEGURIDAD DURANTE FESTIVA!! !